Combine flour and the ¾ cup plus two tablespoons sugar and put aside for now. Beat egg whites, cream of tartar and salt medium high speed until frothy. Add additional ¾ cup of sugar, a tablespoon at a time, moving mixer to high speed until the egg mixture forms stiff peaks. Add lemon extract, vanilla and food coloring. Add flour and sugar mixture to bowl, ¼ cup at a time, and fold in gently. 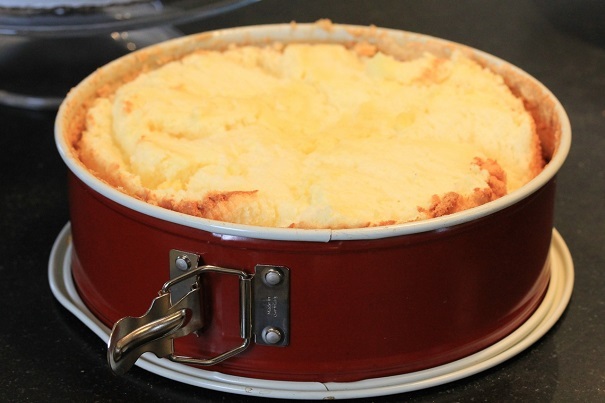 Put batter into ungreased baking tube pan or springform pan. Bake 35 minutes (do not underbake or the center will be sticky like cotton candy). In a sauce pan or double boiler, mix sugar, corn starch and water. Cover and heat to a boil, not stirring. Heat to 242 degrees on a candy thermometer. While mixture is boiling, beat egg whites until stiff. 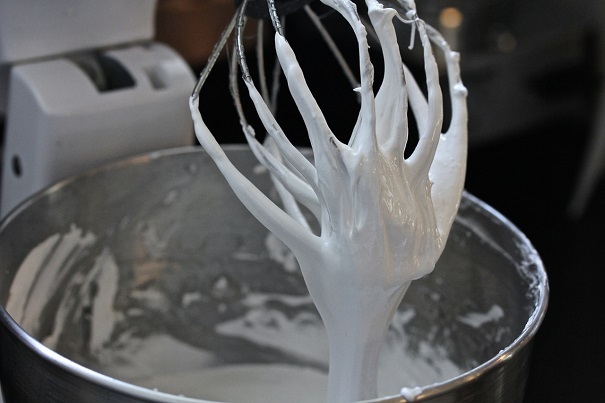 Pour hot syrup mixture in a thin stream into the beaten egg whites, continuing to beat them as you pour. Beat on high until stiff peaks form, adding vanilla and lemon extract at the last minute of beating. The frosting should have a nice weight and shine to it. 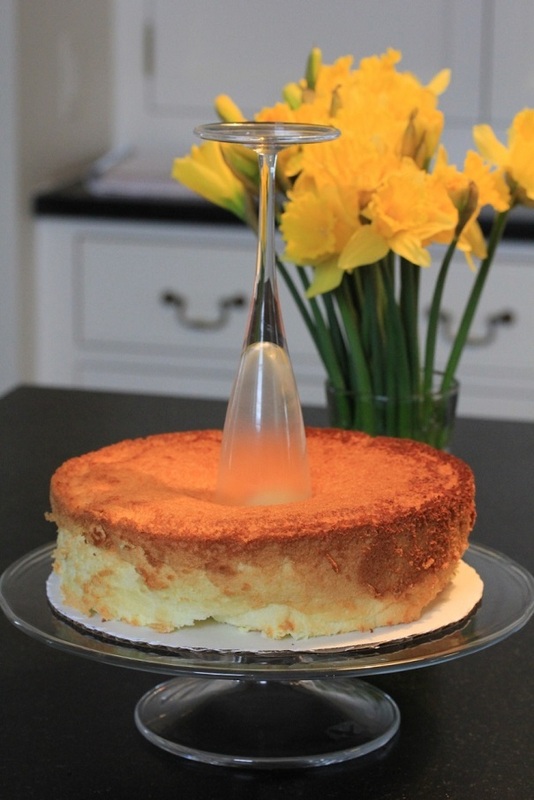 If you don’t have a tube pan, you can use a fluted champagne glass to cut a hole in the middle of the cake, just as you would use a cookie cutter to cut out a piece of dough. 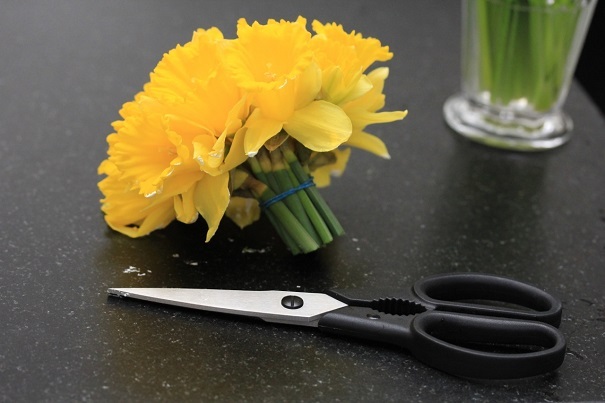 Take a small bunch of flowers and arrange so that the heads are all roughly the same height. Fasten them together with a rubber band, just under the heads of the flower blossoms. 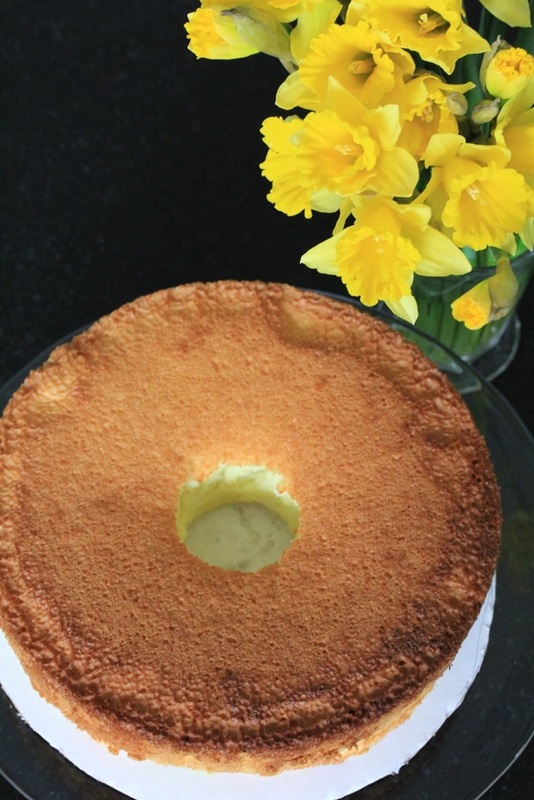 Trim stems and place flowers into the center of the cake for an (inedible) garnish.